A study from the UK, by Dr Stephen Messier, shows that for each pound of body weight lost, there is a 4-pound reduction in knee joint stress among overweight and obese people. Researchers say the results indicate that even modest weight loss may significantly lighten the load on your on your joints. 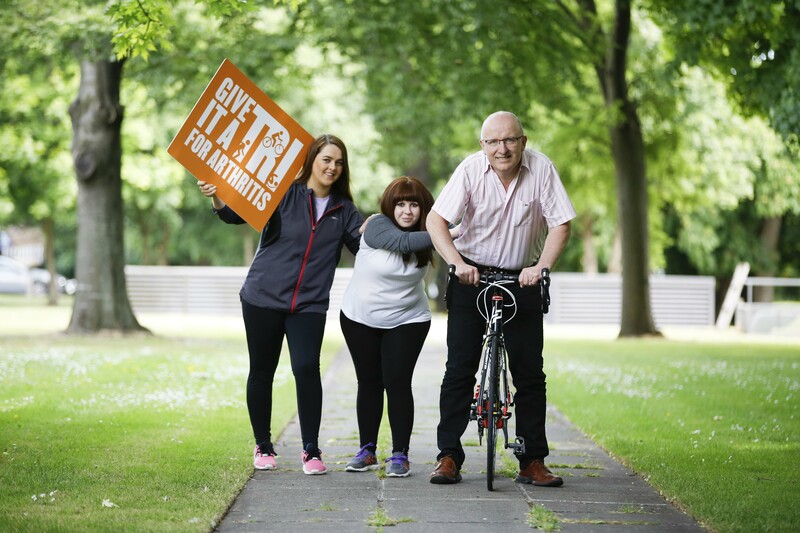 A cornerstone philosophy at Arthritis Ireland is “moving is the best medicine”. 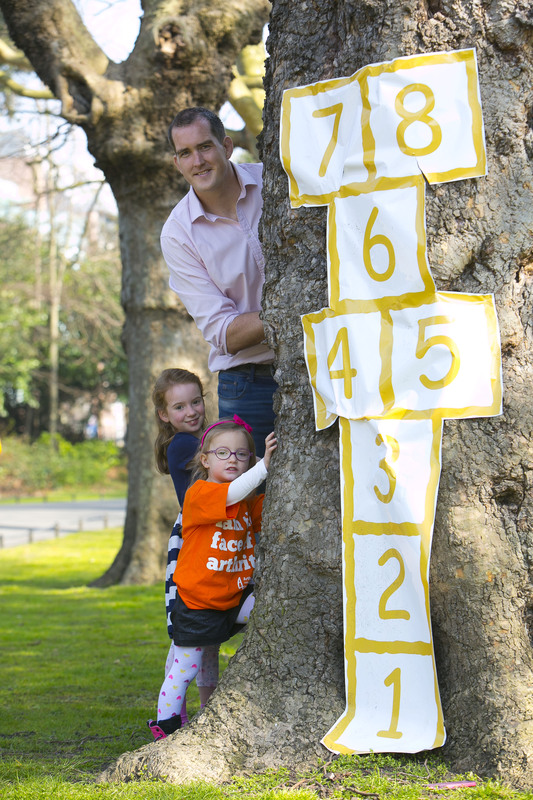 With this in mind, we have launched a unique initiative to engage the Irish public to get out and get active. The Micro-triathlon is the first of its kind in Ireland. It is open to everyone, of all ages and all exercise levels. The Micro-Triathlon involves a 3km run/walk, 3km cycle and three lengths of a pool/ 30-minute aqua-aerobics class. You can take part as an individual or as a team. It takes place to coincide with National Arthritis Week, on October 10th & 11th, at various locations around the county including Sportslink, Santry on Sunday 11th of October. Registration is €30 for a team and €15 for an individual entry. For more information log on to www.arthritisireland.ie/microtriathlon. Children are often the forgotten face of Arthritis with over 1,000 children living with the condition in this country. Arthritis is often seen as an “old person’s disease” however, unfortunately it is also a chronic disease impacting on children and young people in Ireland with more and more cases appearing daily. A recent online survey conducted by Arthritis Ireland found that over 40% of children diagnosed with arthritis were under 3 years of age and 37% of parents said the most difficult thing about their child having arthritis is the feeling of helplessness and inability to take away their pain. Children with arthritis face daily challenges that can severely impact their childhood, such as not being able to play outside in the school yard, brush their teeth or even hold their mothers hand. Children with arthritis also have to learn to manage their pain with some having injections 1-2 times a week, infusions and fortnightly hospital visits. 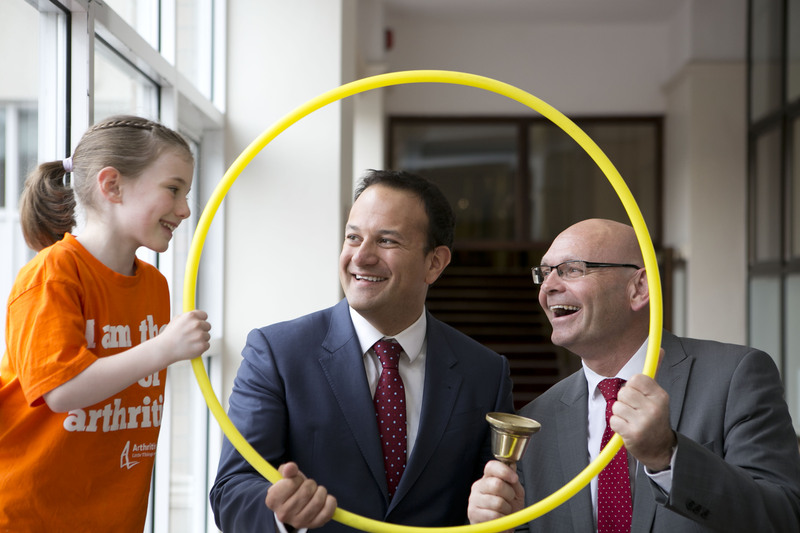 Arthritis Ireland is campaigning to change this perception with the help of Minister for Health Leo Varadkar. “Back To The School Yard” is a new campaign launched as they raise public awareness about Children with Arthritis and raise much-needed funds for support services to help children and their families. “Back To The School Yard” is a chance for people to organise a day of school yard games in their workplace or community and raise funds for Children with Arthritis.